Newfound exoplanet orbits a star identified with the famed science officer from "Star Trek." The exoplanet is about twice the size of Earth and is considered the closest "super-Earth" orbiting a sunlike star. For now, it's known as HD 26965b, in keeping with naming guidelines set forth by the International Astronomical Union. But Ge said he planned to contact the Union to ask that the exoplanet be named Vulcan. It might be fun to name a real-life planet after a fictional world, but is it — as Spock might ask — logical? "Absolutely yes!" Sara Seager, an astrophysicist and planetary scientist at MIT, said in an email. "'Star Trek' (and other science fiction) paved the way for people to get excited about real exoplanets." 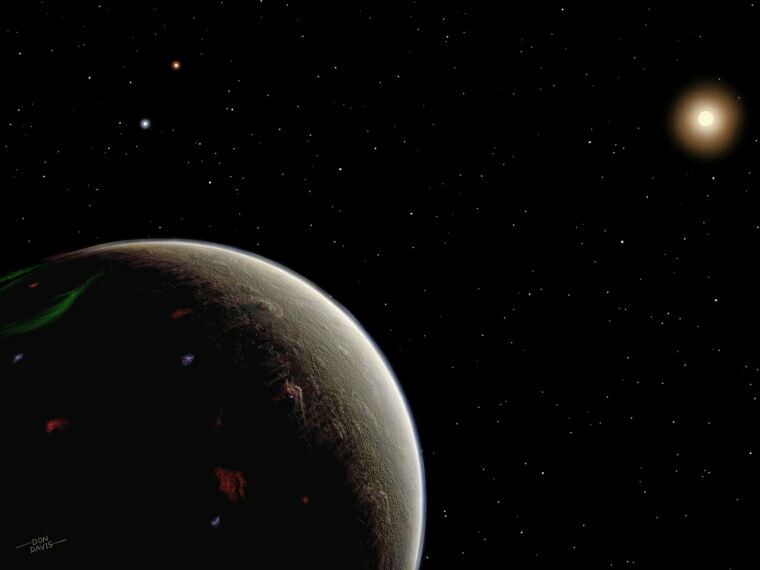 Ge said the exoplanet is likely to have an atmosphere and to be tidally locked to its host star. That means one side perpetually faces the star while the other side points away. If this is the case, the side facing the host star would likely be very hot — "probably too hot to be habitable," Seager said. But Ge said the surface of the dark, cooler side could be habitable, adding, "On the other hand, life can also survive underground. Like what Star Trek imagines, Vulcans stay in the caves." Seth Shostak, senior astronomer at the SETI Institute in Mountain View, California, said super-Earths "could very well be the sort of world where life could begin, and perhaps evolve into intelligent beings... But you’ve got to ask yourself — with all the twists and turns of evolutionary history on any planet, how likely is it that a planet 16 light-years away would eventually produce beings that look nearly identical to us, except for ears that would challenge any barber?" The exoplanet was discovered using the Dharma Endowment Foundation Telescope, a 50-inch telescope atop Mount Lemmon in southern Arizona. But rather than observing the exoplanet directly, the astronomers inferred its presence based on the subtle movements of its host star in response to the exoplanet's moving gravitational field. "This reflex motion is much smaller because the star has so much more mass than the planet, but with ultra-stable instrumentation, it can be detected," said Matthew Muterspaugh, a Tennessee State University astronomer and a co-author of the paper. But you don't need a telescope to see HD 26965. "This star can be seen with the naked eye, unlike the host stars of most of the known planets discovered to date," Bo Ma, a University of Florida postdoctoral student and the paper's first author, said in a statement. "Now anyone can see 40 Eridani on a clear night and be proud to point to Spock's home."